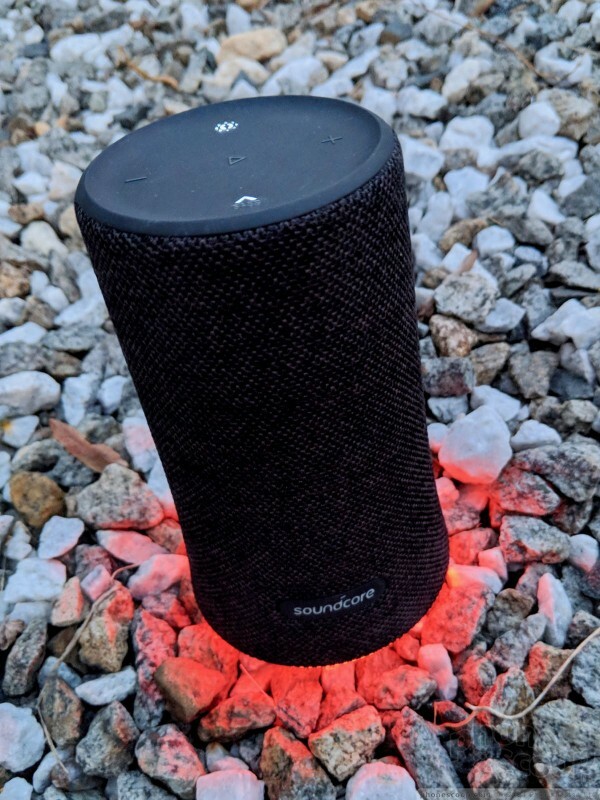 The Soundcore Flare is a simple Bluetooth speaker that's tough, waterproof, and a lot of fun thanks to colorful blinking lights. Is this the perfect backyard party companion? We aim to answer that question in this review. Very little helps a Bluetooth speaker stand out from the competition when it's sitting on a shelf at your local electronics store. In-store demos, if allowed at all, hardly give you a real appreciation for what the speaker can do. That's why speaker-makers resort to features other than sound, like industrial design, to call attention to their product. 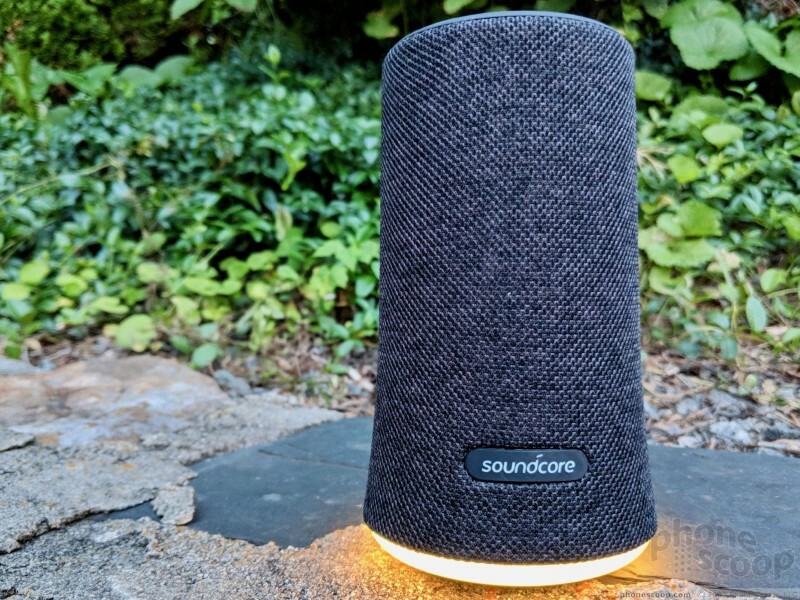 The Soundcore Flare calls attention to itself in the most obvious way possible: actual flashing lights. 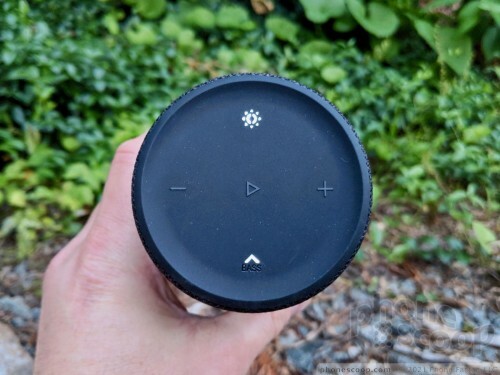 The speaker has a ring of LEDs that circle the bottom of the cylinder that illuminate along with your tunes. 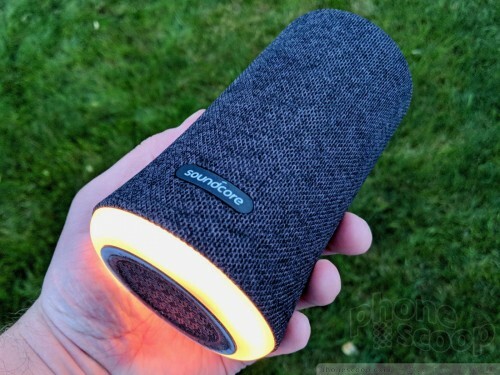 If club-style lighting is your thing, the Soundcore Flare brings the blink. 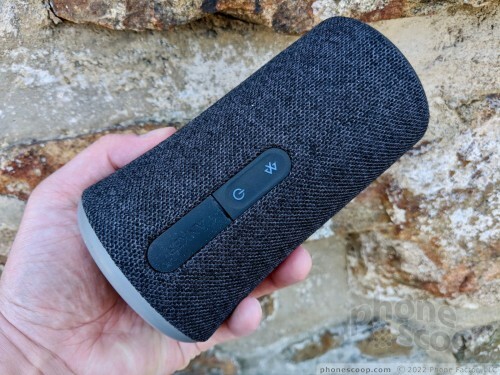 The majority of today's Bluetooth speakers take one of two approaches: stereo sound or 360-degree sound. The former are generally box shaped and the latter are generally cylinder shaped. 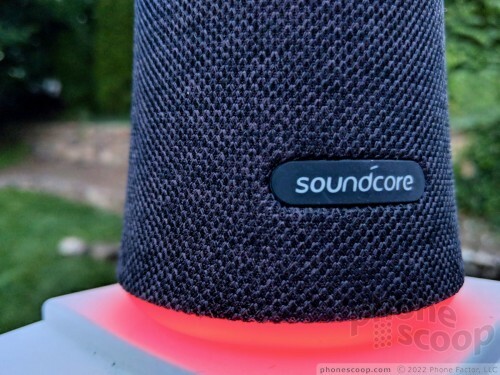 The Soundcore Flare falls into the cylinder camp. It stands about 6 inches tall and sits about 3.5 inches across the diameter. It's a bit wider at the base than at the top. The shape reminds me of Devils Tower in Wyoming. It weighs a bit over 1 pound. It's small and light enough that you can toss it in a bag to head to the beach or you bestie's. 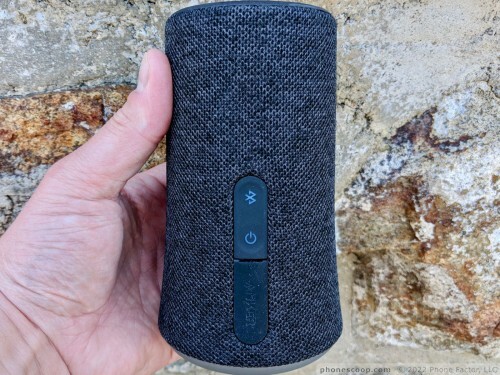 The speaker is made of hardened plastics and rubber. The main cylinder is covered in a tough gray fabric. It's a bit scratchy. The end cap is rubber and is where you'll find the buttons. 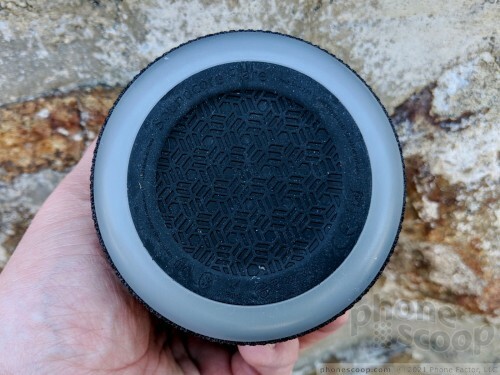 The controls (volume down, play/pause, volume up, bassUP, and light show) are under the rubber surface but called out with raised patterns in the material. They're illuminated, so they're generally easy to find and use, and the action on the buttons is good. 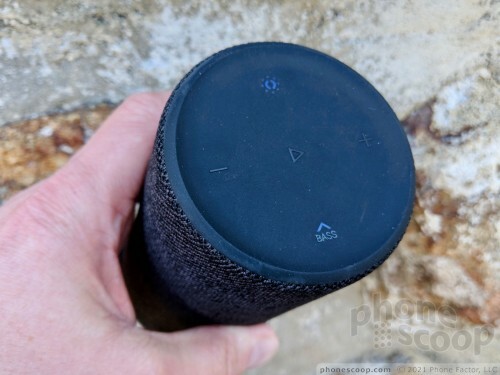 The power and Bluetooth pairing buttons are on the rear of the speaker. These buttons have their own LEDs are are easy to interact with. Below them is a thick slab of rubber protecting the 3.5mm AUX port and microUSB charging port. The flap is a little annoying to pull back, and you'll need to press it firmly back in place to ensure the Flare remains waterproof. I like that the rubber bottom gives the Flare some grip when set down. The lights form a ring just above this base. The enclosure is rated IPX7, which means you can splash it, spill on it, leave it out in the rain, and drop it in the pool. As long as you fish it out in less than half an hour, the Flare can handle a bath. The Flare actually floats, so it won't sink to the bottom. It shrugged off my attempts to get it wet and wild. Yep, there's an app. As with many Bluetooth accessories, you don't have to use the app for the basic experience. 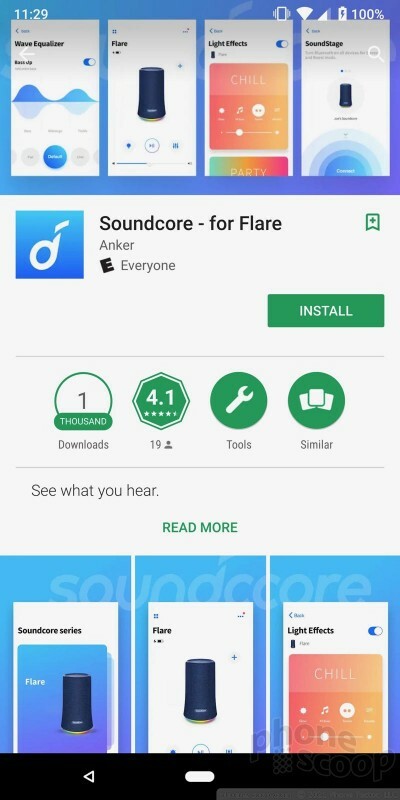 If you want control over the Flare's sound + light show, however, you definitely have to use the Soundcore app. The app is free for iPhones and Androids alike. It's no trouble to download and install. Once you've paired your phone with the Flare, you can switch between a handful of pre-determined EQ curves, but not create your own. There aren't enough EQ options, as far as I'm concerned. On the other hand, not only can you can choose from a number of different light patterns, but you can also make some minor tweaks to each pattern's settings. The app is great for managing the lights, but very limited when it comes to adjusting the sound, which is disappointing to me. I can say that the app is dead simple to use. It even makes firmware updates a breeze. 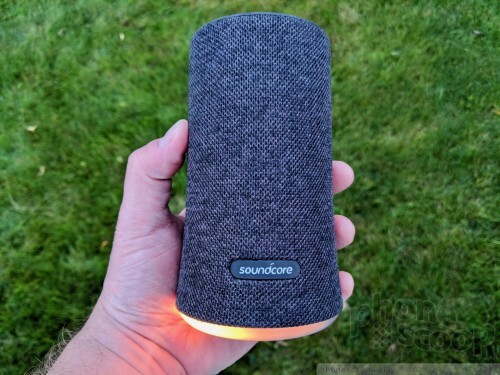 The Soundcore Flare includes Bluetooth 4.2 with A2DP, AVRCP, HFP profile, and SBC decoding, but not aptX. It gave me a small amount of trouble when first pairing with new phones. It often failed the initial pairing for lack of a PIN code. Restarting the speaker got me around this roadblock, though hopefully it's something Soundcore will resolve in a future firmware version. Once over this hurdle, the connecting and reconnecting process worked well. 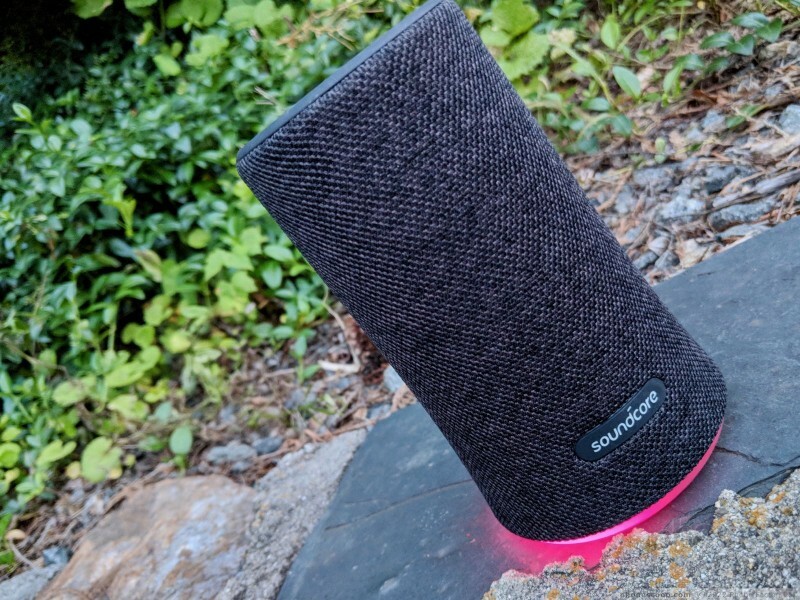 Soundcore says the range for the speaker is 66 feet, or 20 meters. That's about right. I was able to leave the Flare on my deck and walk all the way around my backyard without losing the connection. It did, however, drop when I walked around to the front yard. The connection remained solid for the most part, yet I noticed a few blips and quick drops here and there over several days of testing. Mostly, it was good. The Flare has two 1.75-inch drivers and some internal ports to help channel the sound in every direction. The drivers are powered by 6W amplifiers. 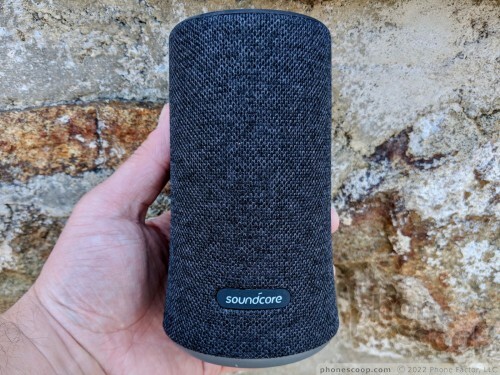 Soundcore hasn't published a frequency range spec. I can tell you this: it's loud and it sounds pretty good at the default setting. Those amplifiers push out plenty of air and can easily fill a deck or pool area with music. I had no trouble enjoying my tunes outdoors over the thrumm of a neighbor (rudely) mowing his lawn during dinner hour. The cylindrical shape and arrangement of the drivers help disperse sound evenly over a large area. I was very pleased with the range of the music. You can't lay down the boom over an entire beach, but your blanket will be rockin'. The quality is not the absolute best I've heard, but it's good for this price range. Let's face it: we're not mainlining vinyl here. Using the basic configuration I found the playback to be suited to pop and podcasts. You can slide the EQ over to "flat" or "vocal" to cover other genres. 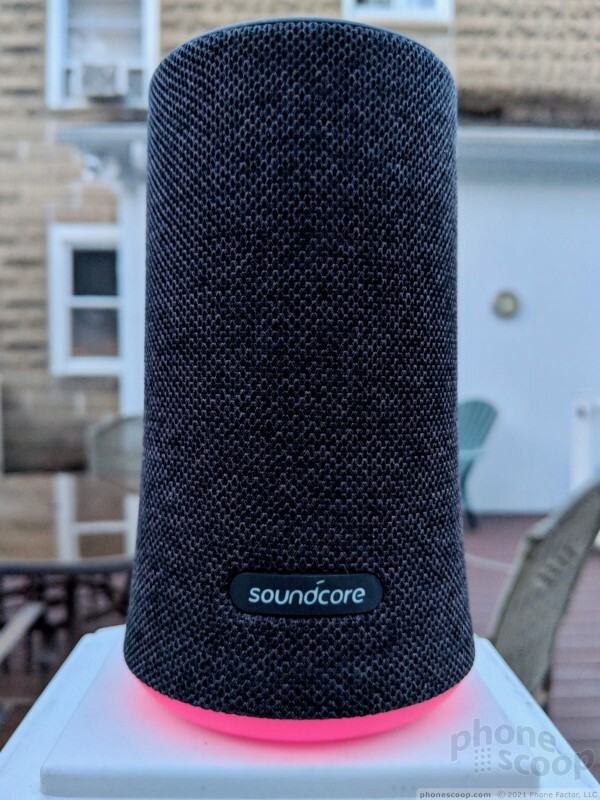 The BassUP feature — which has its own hardware button on the Flare — gives the bottom end a boost and is most impactful when listening at moderate volumes. I recommend never turning it off, as the music was thin and weak without it. I was able to tweak the sound a bit through the Spotify app on my phone, but I'd prefer to see a user-adjustable EQ in the Soundcore app. I dialed in a good-enough sound for my type of music. My kids — probably the target market for this device — were thrilled with the sound. Overall, it covers highs without being too shrill, mids without being too forward, and bass just enough to know it's there. There's a mic so you can do speakerphone calls if you must. It works. The battery will get you through an entire day on the beach on a single charge. 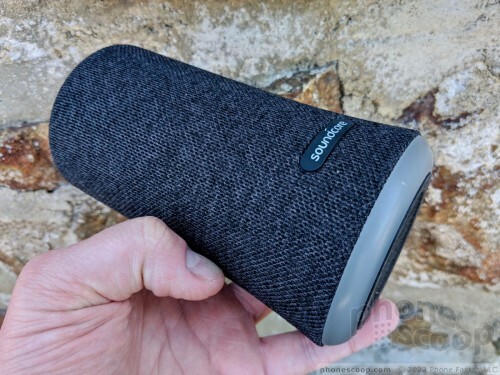 Soundcore says the battery provides up to 12 hours of listening when the volume is set at 60%. That matches my experience. 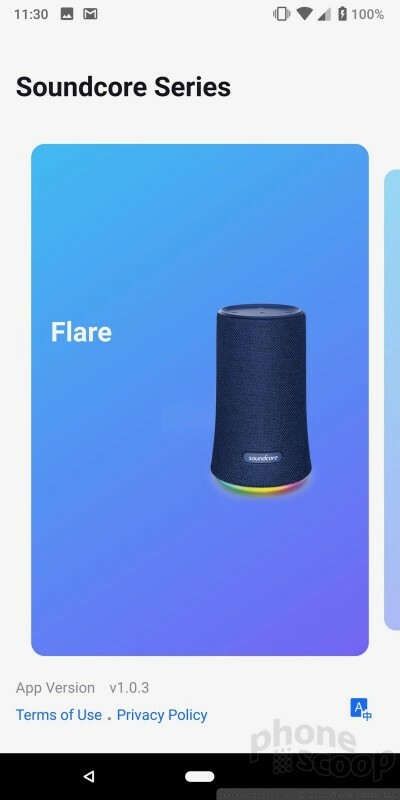 The worst battery life I saw from the Flare was just over 11 hours. That's plenty long for an epic backyard party. The lights hardly draw any power and I couldn't discern any real difference in battery life whether the light show was on or not. Speaking of the light show: It's fun. I don't need it. At all. It's not for me. But my 11-year-old daughter was in heaven. She and Taylor Swift danced for an hour straight with the light show turning her bedroom into a suburban club zone. I will say, however, that I appreciated even the small amount of luminescence on my deck once twilight faded. 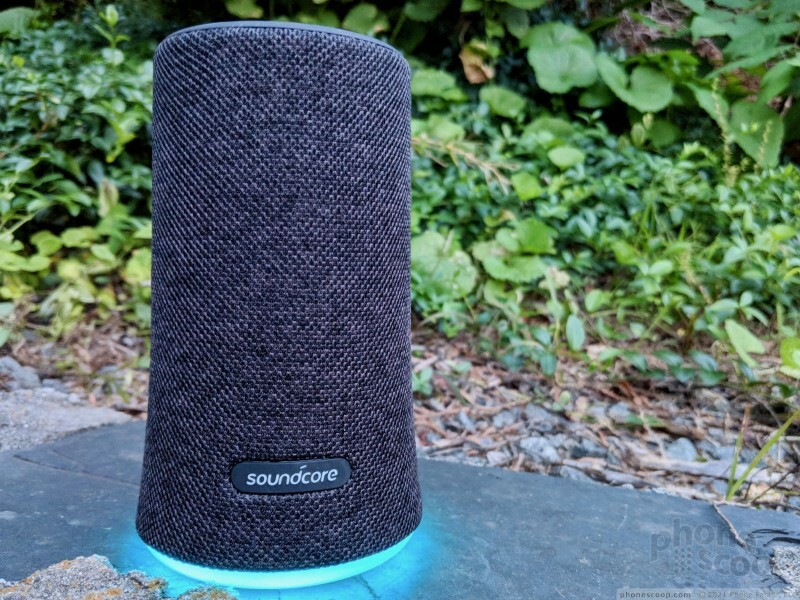 The Soundcore Flare costs $60 and is available from Amazon. That's incredibly cheap for a speaker like this. 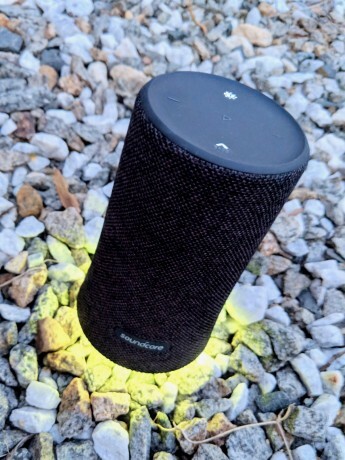 It may not be the absolutely best-sounded speaker I've ever heard, but it sounds good enough, offers plenty of battery life, can handle some wet and wild fun, and goes the extra mile with the club-inspired lightshow. It's a perfect gift for grads, kids, or others who may want the joy of music available in the blink of a diode. The Aquaphonics 10 from LifeProof is a waterproof, rugged Bluetooth speaker meant to accompany you on all your outdoor summer activities. Whether it's rocking in the backyard or jamming on the beach, LifeProof says its Aquaphonics series can handle it all. The Spirit X Bluetooth headphones from Soundcore are meant to endure your most intense workouts. This simple, behind-the-neck style headset is completely sweatproof and offers all-day battery life for your weekend adventures. Bullitt, the company responsible for CAT and Kodak phones, has recently added a new brand to its portfolio: Land Rover. The The Land Rover Explore is a tough-yet-capable phone with features designed for the same adventure-seeking crowd that Land Rover vehicles are associated with.